Immediately resolved Same working day Within 2 working days More than 3 working days Not yet resolved! You have received this link because you have been in contact with us recently and we value our customers opinions. Our customers are important to us, really important. Without you, we wouldn't be here, so it's good for us to hear what you really think. By completing this form, we will use your feedback to improve our services to you. 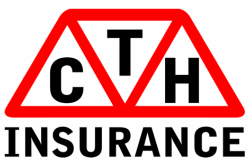 We do not pass your details on to other companies and only use the information within CTH Insurance to improve our service.